Our customer service team takes a proactive approach to your orders, working to ensure transparency, excellent correspondence, and your peace of mind. We are there for you every step of the way, responsive to every need. With over 200 years of industry experience, our passionate team is technically proficient in all facets of this business. From ideation to actualization, we will be there, successfully shaping and completing your concept. When you have a vision for a new product and present it to Northwest Cosmetic Labs, our research and development team are ready to partner with you to bring your idea to fruition. Our team thrives on complex, technically challenging formulations and have built their legacy on award-winning formulas that were created through experience and expertise. With a large team of knowledgeable specialists, we come prepared to listen to you, shaping every formula to your specifications. We find success in a manufacturing process that is efficient and highly productive. Our Engineering Team specializes in lean manufacturing processes, continuous improvement, and in creating a smooth workflow. With the help of a full-time packaging engineer, every project is benefitted by compatibility and packaging expertise. Our Operations Team looks at manufacturing from every angle to ensure smart processes. From compounding to filling, our main goal is to create high quality products on time for our customers. Our practices and values reflect a drive for excellent quality. We are continuously building and maintaining our certifications and enjoy years of good standing with the FDA. Quality is a top priority not just for our quality department, but for our entire company. We believe in holding every product we produce to the highest standards. 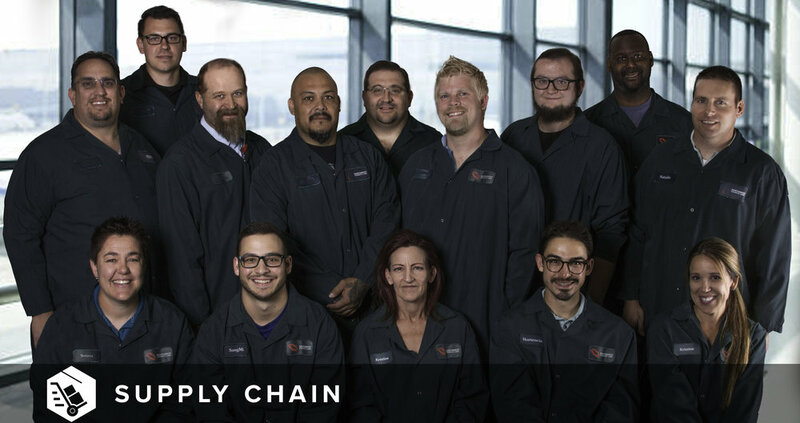 Our Supply Chain Team is making great strides in reliability and accuracy. Our unique solutions have created a supply chain that is tailored to our customers’ needs. As we continue to improve the supply chain process through shorter lead times and trusted vendors, we can optimize cash flow for every customer.